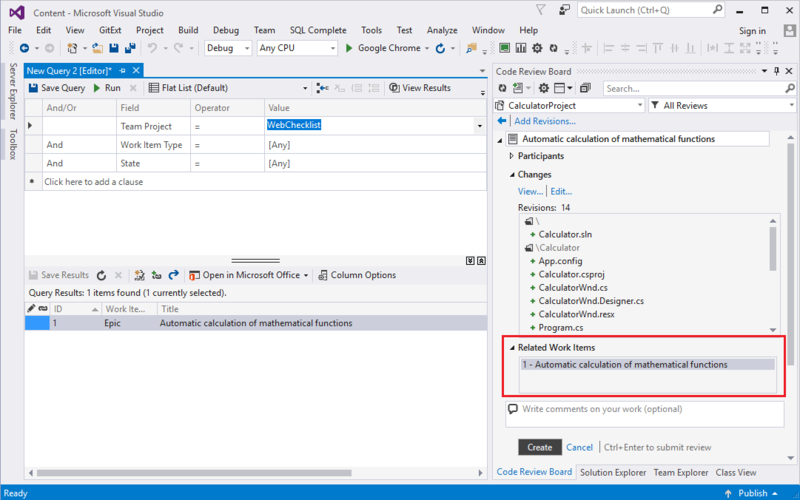 Review Assistant is a convenient tool that integrates with TFS and allows you to perform iterative code reviews directly within the Visual Studio IDE, while supporting work scenarios that are not covered by the Microsoft's built-in code review tool. Review Assistant allows you to easily import individual projects and users from TFS. 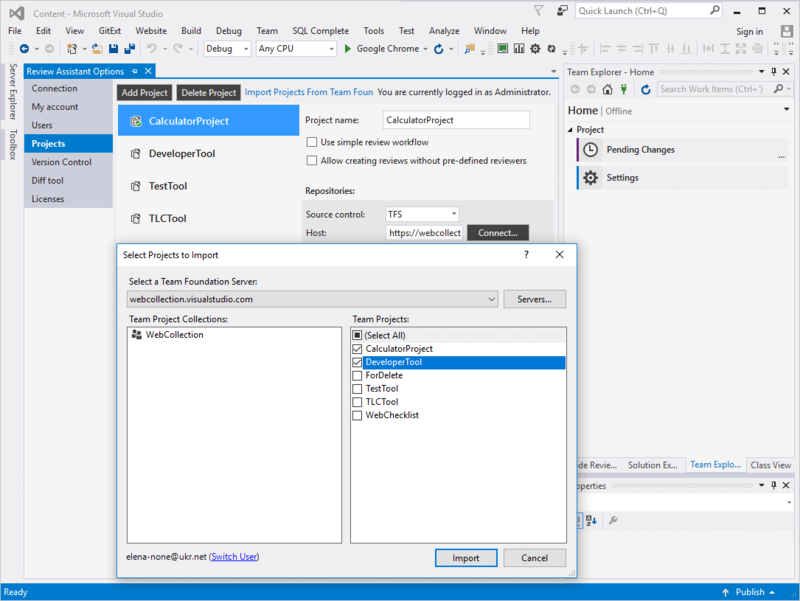 Review Assistant supports project import from both Visual Studio Online and Team Foundation Server. Once you have imported a TFS project in Review Assistant, the project name, repository setting, and users involved in the project are automatically integrated in Review Assistant. A TFS project administrator is granted the owner status, all other users are included as members of the project, and their roles in Review Assistant may be manually set up. TFS source control comes with a handy option called shelving that lets store your pending changes onto the server if you don't want to commit them to source control. In Review Assistant, once you have completed the shelve operation, you can select a shelveset to add it to a review. This will allow you to implement a pre-commit review when code is reviewed before it goes goes into the TFS repository. 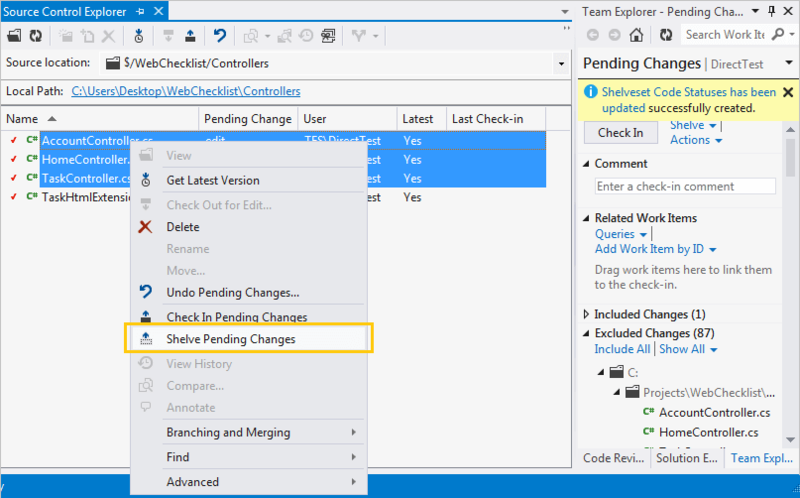 Review Assistant tool includes the custom check-in policy for TFS. The policy requires only one-time implementation. Check-in policies enforce constraints every time when files are checked into source control. 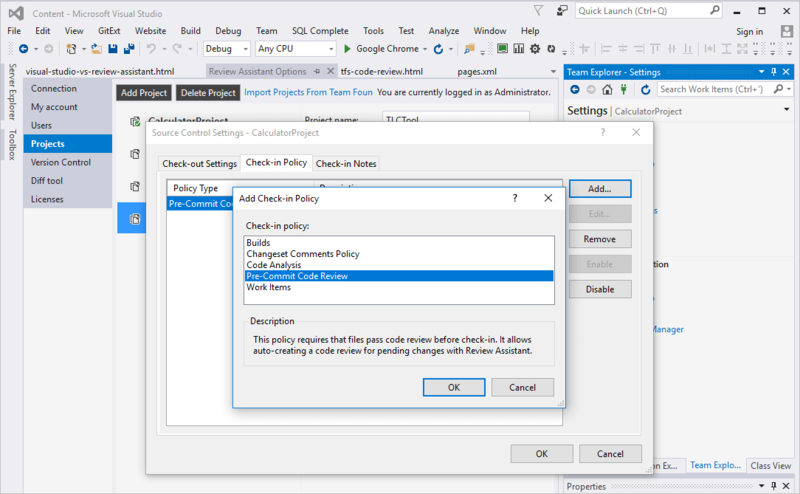 Team Foundation Server provides a number of out-of-box check-in policies, including policies that check whether static code analysis was performed, and policies that check whether work items are associated with check ins. When you add a shelveset to a current review, Review Assistant automatically shows work item(s) associated with the current shelveset on Code Review Board. Double clicking a related work item will open the work item window. Thus, reviewers can quickly get on the inside.